Last edited by onelifecrisis; 01-02-2009 at 05:20 PM. Reason: What reason? There are missing some textures, is it not? The water is looking like silk. It appears to be a fabric silk throwed over a table. It's very complicated to make water look like water when you increase the waves height like this. Makes the game look realistic, but makes the game look ugly. The other pictures looks good. I was playing with OLCE and I noticed that the waves are never never never calm. Can't be like that all the time, depending on the wind yes the ocean can look like a lake sometimes. If I could throw you a wrench, this would be it. Too many waves, waves too high, looks ugly. But the general idea is brilliant, keep it up! First off let me point out that the waves in OLCE are exactly the same size and shape - in all weather conditions - as they are in GWX 2.0 (8km). They may look more "three dimensional" because of the changes I've made to reflections, but that's entirely graphical and entirely intended. Now as for the "silky waves" yes I know what you mean, I noticed it too, and set about fixing it when the combimod was in development. 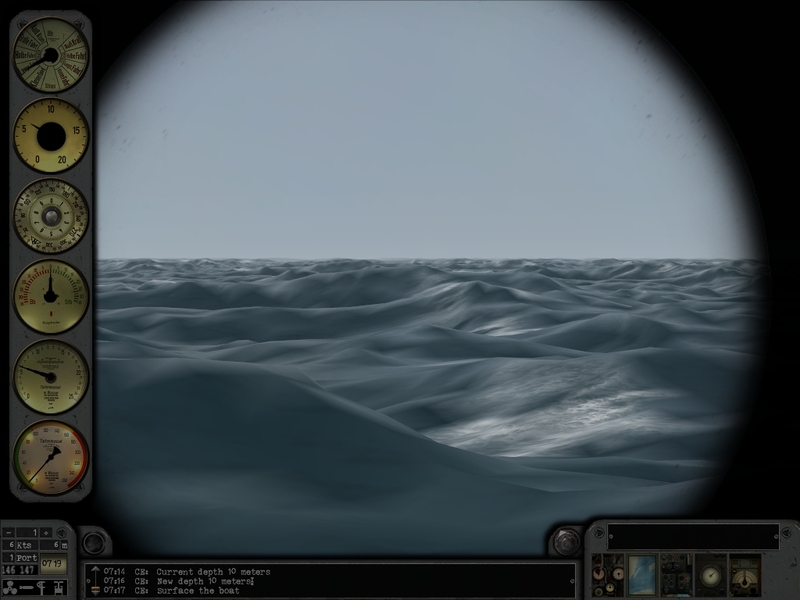 What I found is that I can change it so that the distant waves look better and more textured, but at the cost of making nearby waves look awful in a normal (non-zoomed) view. There doesn't seem to be a way around this, so I went back to the normal OLCE wave bumps and reflections (that's what you see in the screens on post #1 of this thread) and while I agree that those distant waves don't look as good as they could, they still look (to me) ten times better than the normal flat-as-a-pancake view. Oh and one other thing... the waves in the screen you posted are 15m/s waves. Very interested in your mod, but cant seem to see the link to the download here? The link is in post #1. OLC... You are a Genius!!! ... It's hard (waves over scope) ... It's real... It's a great mod. Living Silent Hunter III with OLC in combination with GWX 2.1 and SH3 Commander ... It's just another game! this mod is ready for jsgme?